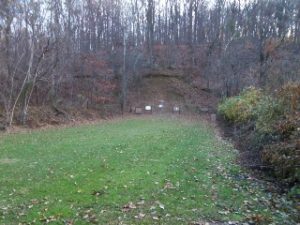 Range 4 – 50 yard Rifle Range – Unami Fish and Game Protective Assoc. Inc. 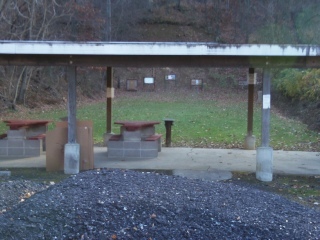 The 50 yard range has benches for bench rest shooting. There is room at the firing line to fire standing, sitting or prone. This range has a shotgun pattering frame on the far right side.